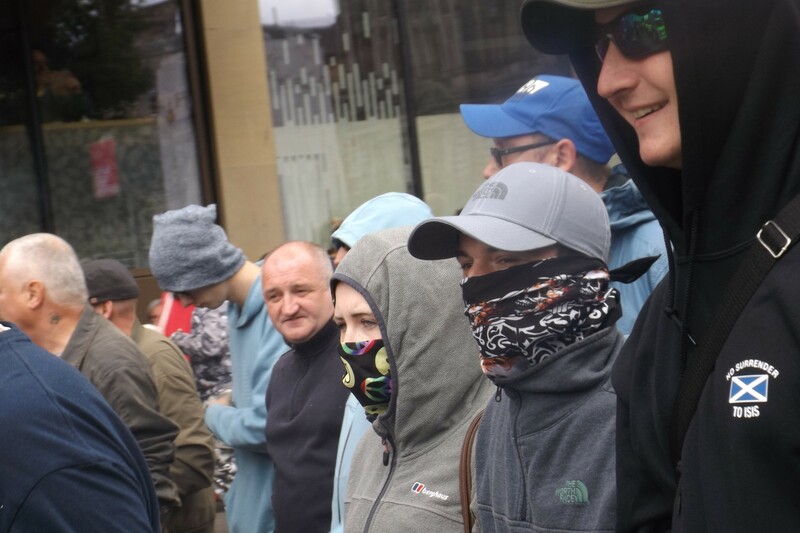 Today’s Glasgow demo by the Scottish Defence League felt like it was going to be a make or break moment for the group, more than two years after their last demonstration in the city. 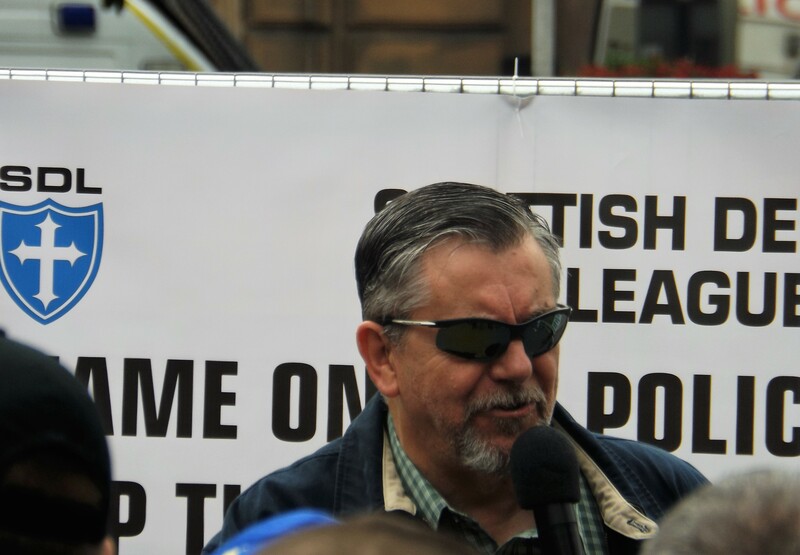 While the SDL have consistently struggled to ever break into three figures at their demonstrations, the current climate – which has see the “Free Tommy” movement act to unite disparate elements of the far-right in England, and increasingly internationally – appears favourable to them. 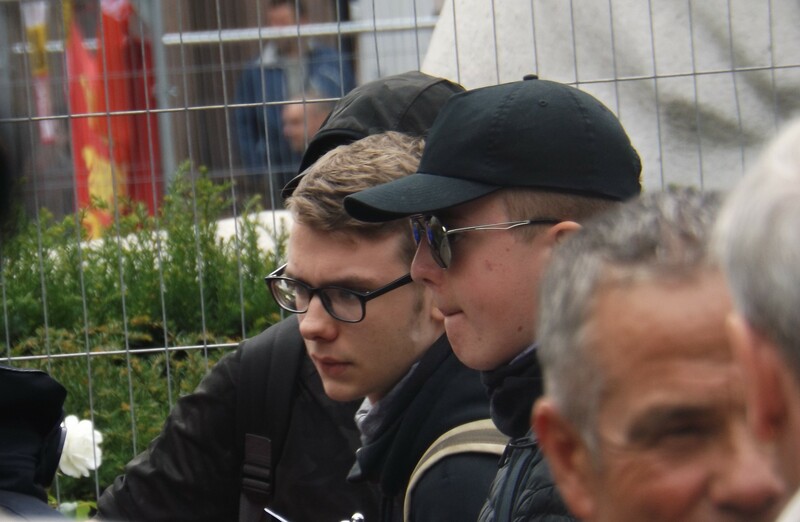 As it turned out, today was much like all of their other demonstrations: a few dozen far-right veterans and schoolboy fascists gathered before being marched to their designated protest area, posing for some photos and a few garbled speeches, before an enforced return march and dispersal. 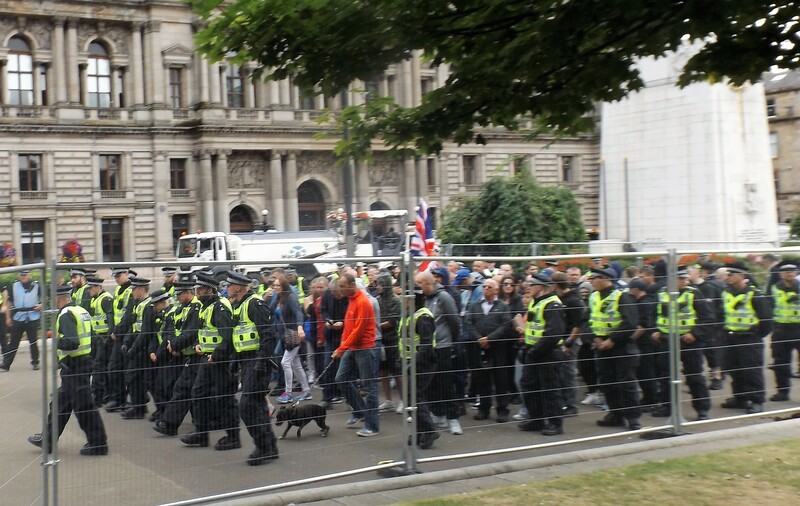 There were likely others in the vicinity of George Square who had come with the intention of joining the SDL, but were put off by the heavy police presence that surrounded them at all times. Today was no different – there was a huge police presence. 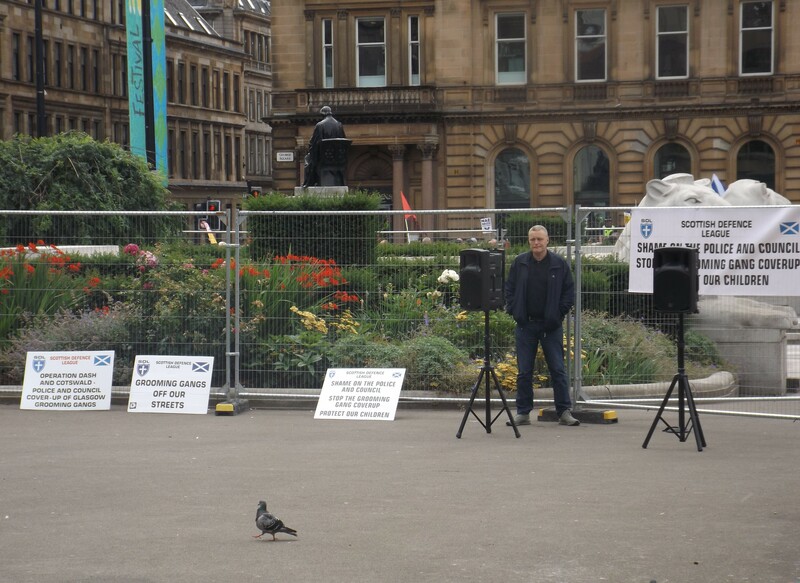 With much of George Square closed off for works to build a stage for the upcoming European Championships, the Cenotaph separated a typically tepid Unite Against Fascism demonstration from the SDL’s designated area. The police, however, had likely not counted on there being sizeable groups of anti-fascists that remained outside of the ‘kettle’ and kept mobile. 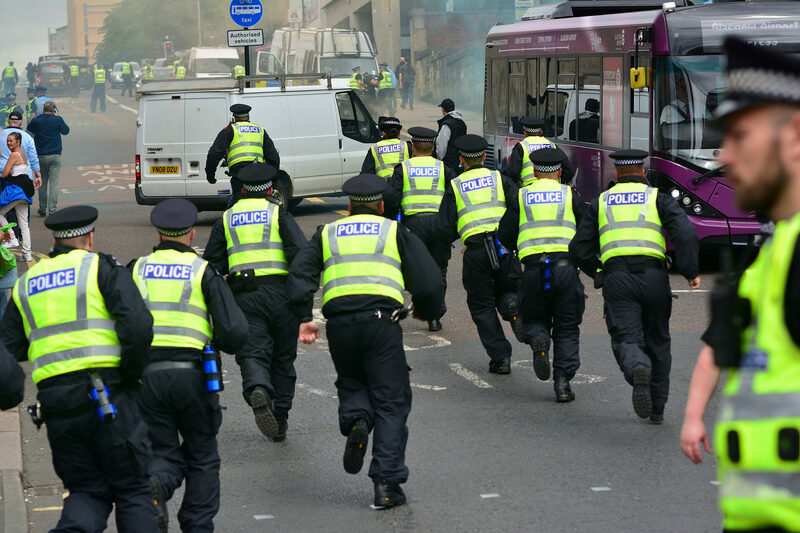 This resulted in the SDL being ambushed at their assembly point and pelted with smoke bombs, as well as later skirmishes around the city centre. 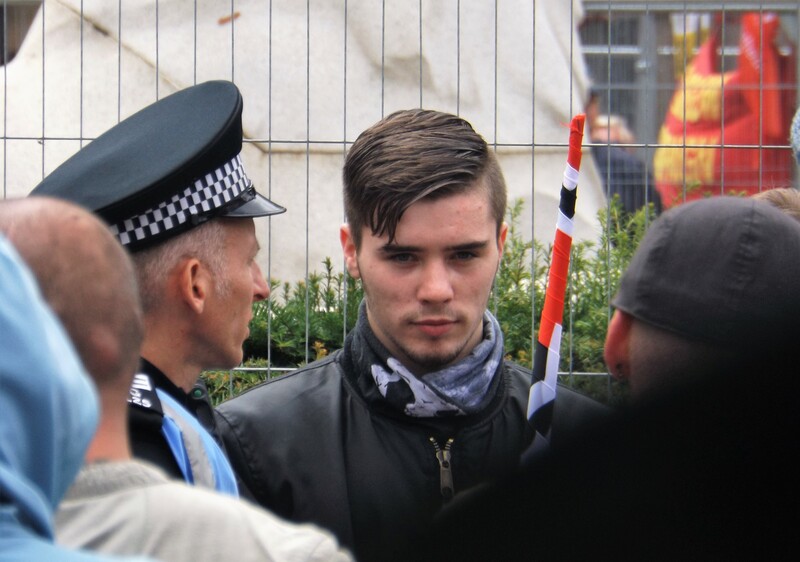 We’re not going to cry about the police coming down hard on the SDL, although experience shows it can just as easily be anti-fascists that they decide to target. But it is almost always a numbers game, which generally doesn’t favour the SDL. 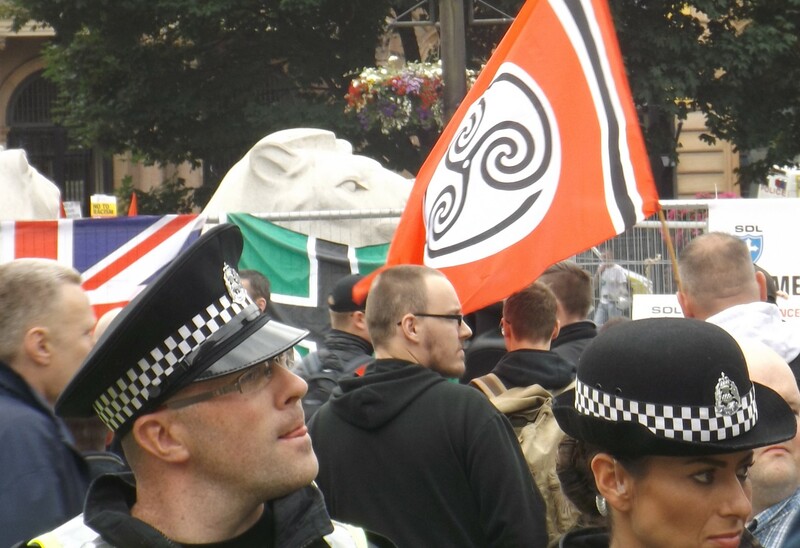 In effect, the police letter spells out why we need to keep turning out against the SDL, and how the resulting ‘threat of disorder’ is one factor which prevents them from ever having a successful demo, and ever gaining a foothold.